With the hot weather that the UK has been experiencing, more and more people are opting for a staycation. For many people, this means a road trip and driving to holiday hotspots within the UK. With more time on the roads, you are more likely to see the bad habits that wind you up on the road. 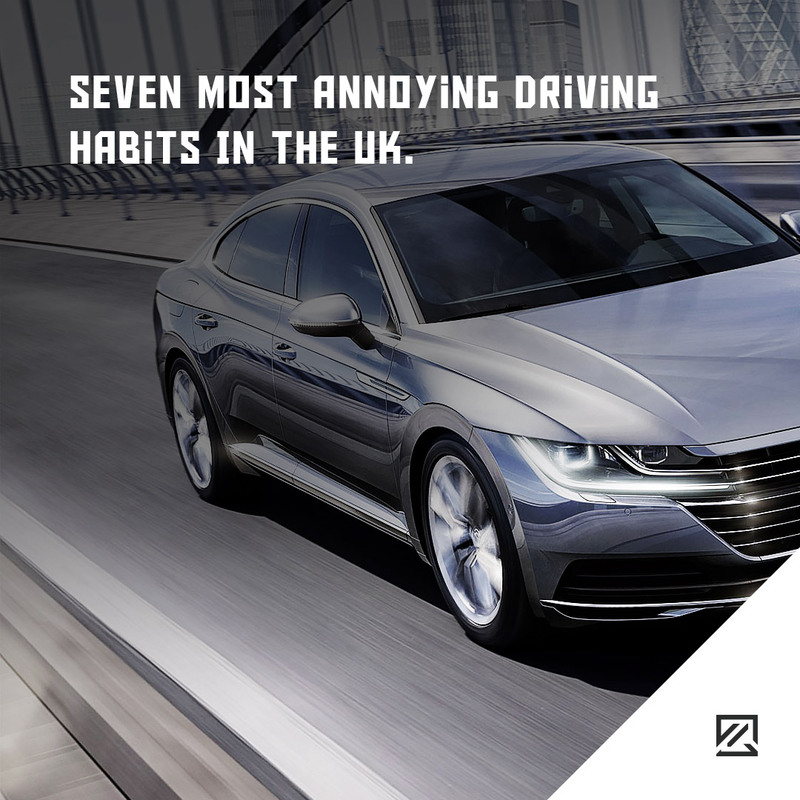 So, which of the seven most annoying driving habits increases your road rage? With dedicated lines, it should be easy for people to park in one single space. So, why do people seem to park over the white line and not bother checking their parking? It doesn’t matter how many times people purposefully overtake middle lane hoggers; they still don’t move over. Even threats of the police prosecuting middle-lane drivers haven’t seemed to reduce the problem. Hogging the middle lane is not only annoying, but it is also incredibly dangerous and arrogant too. If someone is in the wrong lane, he or she should indicate and move over safely. Instead, annoying drivers will rev at the red lights to show their intentions of cutting you up as soon as the lights change. Us Brits love an orderly queue, and it doesn’t matter where someone skips the line, it is annoying. For motorists, those who cut in at the last second onto a slip road instead of queuing appropriately is infuriating. After a ticket has been issued, traffic wardens can’t and won’t take it back. You can dispute the ticket later, but the traffic warden is doing their job. Let them get on with it and accept the ticket; you can always raise a dispute later. It doesn’t save time, it annoys drivers, and the offending motorist won’t reach their destination any quicker. So why doesn’t it stop? At most petrol stations, pumps will reach both sides of the car so you can pick either lane. However, what is perhaps more annoying is when you park at a fuel forecourt, and the pump doesn’t reach. Are you guilty of any of these and which ones wind you up the most?